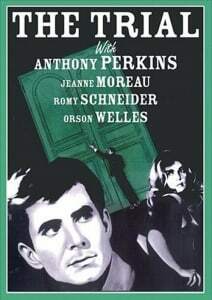 In a 1962 interview with the BBC, Orson Welles defended his then-maligned adaptation of Franz Kafka’s The Trial by saying, “Say what you like, but The Trial is the best film I ever made.” Decades of reevaluation suggests audiences and critics of the day—American ones, at least—were wrong, and Welles, per usual, was correct. Or close to correct, at least. 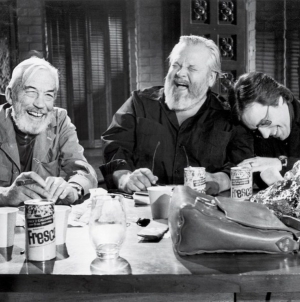 A director of Welles’s stature can’t really have a single best film. The brevity of his oeuvre notwithstanding, to claim The Trial is his best film is to disregard such obvious masterworks as Chimes at Midnight and Citizen Kane. But then, The Trial isn’t any less impressive by comparison. In many ways, The Trial is his best film, a stunning and revealing work that ranks among his most pure and untouched. 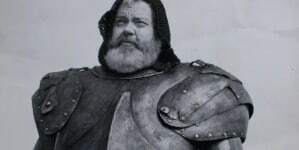 The most famous claim against The Trial was Francois Truffaut’s flippant jibe that the film is Welles’s attempt at “a Kafka,” delivered in the same rudimentary manner a community theater troupe might take on “a Shakespeare.” But as the director proved before with his Macbeth and Othello (ironically enough), Welles was by no means interested in mere adaptation, in blithely transcribing someone else’s work. With its extreme angles, unique camera placements, and fiendish mixture of long shots and extreme close-ups, The Trial not only captures the expressionistic nature and existential mood of the book, it’s also an alchemic assimilation of Kafka’s sharp and varied prose, as if the writer’s words have been melted down and painted on the screen. 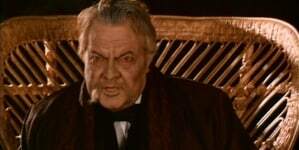 That’s not to say that Welles’s own style isn’t evident in the film. The aforementioned angles and camera placements are instantly recognizable as the director’s trademarks; in films like The Lady From Shanghai and Citizen Kane, the quickest way into the characters’ heads is via matters of form and style, and the claustrophobia-inducing cinematography and jarring editing techniques are the director’s way of evoking the mental state of The Trial’s protagonist, ensuring the audience is on a similarly uneven ground. Other aspects, including the abstract narrative and temporal-spatial dislocation, make The Trial perhaps the most purely stylistically Wellesian film ever. 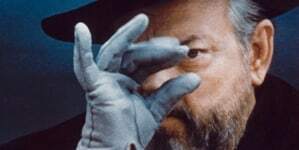 However, it’s Welles fairly radical alteration of the story’s protagonist where one finds his most personal touch. The film follows Josef K. (Anthony Perkins), an office worker who’s under “open arrest” after being accused of a crime. Rather than spend time in jail awaiting trial, he’s left to his own devices, so he chooses to argue his innocence with shadowy officials reluctant to offer any legitimate explanations. The narrative is episodic, spatially rather than temporally organized into small scenes that don’t amount to much plot-wise but pile on the existential paranoia of the milieu, deepening the mystery but never fully explaining anything. The book’s structure is similar, building to an essentially conclusive but nevertheless abrupt halt—the result of the novel never having been properly completed—that finds the protagonist executed for his crimes after forgoing the option of suicide, the famous line “Like a dog!” his dreary last words. Such an ending contradicts Welles’s affinity for self-destructive anti-heroes whose personal tragedies are self-fulfilling prophecies. For his ending, the director has Josef K. mock his executioners and laugh in their faces before his final demise, though one never gets the sense that he arbitrarily changed Kafka’s ending to better suit his own aims; rather, his reading of the source material seems to have revealed far more dogged and individualistic themes than others saw. Kafka, as Deleuze asserts, was a more subversively playful and even joyful writer than his themes of isolation and despair indicate, revealing the futile nature of his stories and characters as attempts at dark—very, very dark—humor, and what is Citizen Kane if not a dark—very, very dark—satire of American ambition? (The director himself claimed as much.) 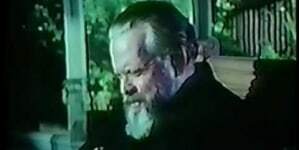 Despite his many European influences, Welles was a thoroughly American director, an indignant pessimist who was nevertheless immune to hopelessness, so of course his Josef K. would go out on top, so to speak. Ultimately, The Trial is a remarkable merger of Kafka’s absurdism and Welles’s humanism, the rare adaptation magnificently unique to its source material. If we’re to believe Deleuze (and we should! ), Kafka’s work is not completely devoid of hope; the writer, like Welles, tends to equate absurdity with a kind of nobility, as if being conscious of the futility of existence frees us from oppression and offers us a glimpse at our fate—pessimism tempered with a sort of ironic optimism. So, no, The Trial is not Welles doing “a Kafka”; The Trial is Welles’s reverential identification of a kindred artistic spirit, an artfully academic exegesis and a moving statement of purpose.